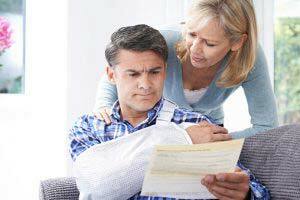 How Long Does it Take to Resolve a Boston Personal Injury Case? 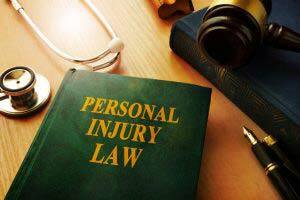 Personal injury cases are complicated, and the more complex the case the longer it can take to settle. The experienced Boston attorneys at Jason Stone Injury Lawyers strive to achieve fair resolutions for our clients as quickly as possible, and our cases generally settle in less than a year. But if it’s necessary to go to trial to recover compensation, the timeframe can be longer. It can be appealing to settle early, but initial insurance company settlement offers are often not enough for injury victims’ needs. While it may be appealing to settle a case early—especially if you’re faced with overwhelming medical expenses and lost wages—the initial settlement offers from insurance companies are typically not enough to cover injury victims’ immediate and long-term damages. Sometimes the full extent of damages is not even known until more than a year after the injury. Why Does a Personal Injury Case Take So Long? There are several reasons a personal injury case may take months to years to resolve. First, injury cases have two basic components: liability (who’s at fault) and damages (the extent of injuries and property damage). Establishing these elements can be challenging, depending on the unique circumstances of the case. For example, liability can be difficult to prove, especially if the victim played a role in the incident that caused the injury. In Massachusetts, we have comparative fault (also known as contributory negligence) laws, which assign liability as a percentage based on the facts of the incident. Determining fault can be subjective, and in some cases it takes additional time to gather evidence and expert testimony to help establish or contest liability. Second, the insurance companies have teams of attorneys who are trying to protect their employers’ bottom lines and pay victims as little as possible. Cases in which more money is at stake often take longer to investigate and resolve, and insurance providers may try to drag out the process as long as possible to put pressure on financially struggling injury victims to settle for less than they need. The extent of a victim’s injuries and corresponding medical treatments may also delay a resolution. There is, however, a practical reason for why this might happen. After an injury, one of the primary goals is for victims to reach what is called “maximum medical improvement” (MMI), the point at which a person’s condition cannot be further improved. The reason it’s important to establish MMI is that some injuries prevent full recovery and may be accompanied by long-term problems. It’s best to understand the full scope of injuries and their future impacts on victims’ quality of life before agreeing to a settlement. Fortunately, the Boston attorneys at Jason Stone Injury Lawyers want to settle (or resolve) your case just as fast as you do. That’s because we get paid only after you get paid. If we can’t arrive at a fair settlement through negotiations, our attorneys may recommend filing a lawsuit. Once an injury victim reaches MMI, we send all of the evidence including medical records and bills, photographs, witness statements, etc., to the insurance company along with details about the injuries and their effects on you, the victim, which we get from our bi-weekly conversations with you. This is called a “demand package” and is typically filed within three months of the injury victim’s last medical treatment. The insurance company should then respond with an offer, usually within 45 days to two months. Rarely is the first settlement offer fair, but if it is we’ll recommend accepting it. If the settlement is not fair, we’ll negotiate for greater compensation. If we can’t arrive at a fair settlement through negotiations, our attorneys may recommend filing a lawsuit. Going to court can extend the duration of a personal injury case, but it can also result in more money for victims. If you suffered an injury due to another’s negligence in the greater Boston area, it’s advisable to talk with a knowledgeable personal injury lawyer as soon as possible. Jason Stone Injury Lawyers’ attorneys allow you to focus on getting better while they focus on getting you paid. We also offer the Stone Cold Guarantee®, which includes a free, no-obligation consultation to help you understand your legal options. Call us today at 800-577-5188 or contact us online to schedule your complimentary case evaluation and learn how we can help you.